Thanks for your prayers for me as I minister in Ethiopia. I am due to return to Kenya on 2nd April. 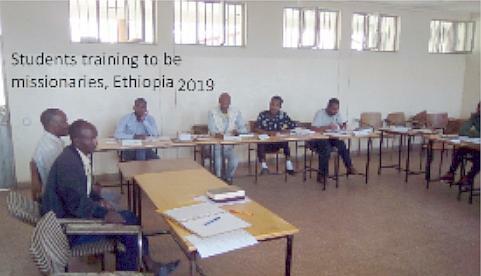 My thanks also to SIM Ethiopia who have opened the door for me to teach here for two weeks. I am very grateful for the opportunity. 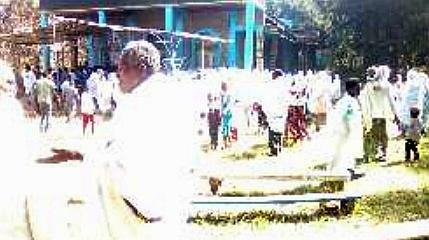 I am at a missionary training school run by a denomination originally planted by SIM missionaries, called K(h)ale Heywet (Word of Faith), about 8 hours south-west of Addis Ababa, the capital of Ethiopia. The school has about 26 students in all. I have 13 in my class. 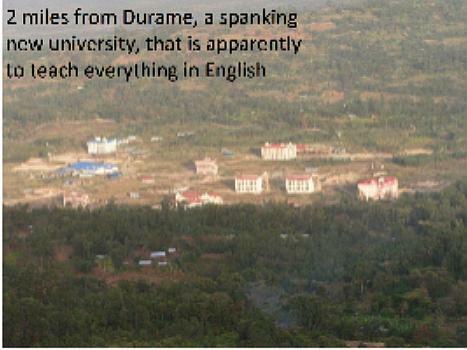 They are doing an undergraduate degree in missions. 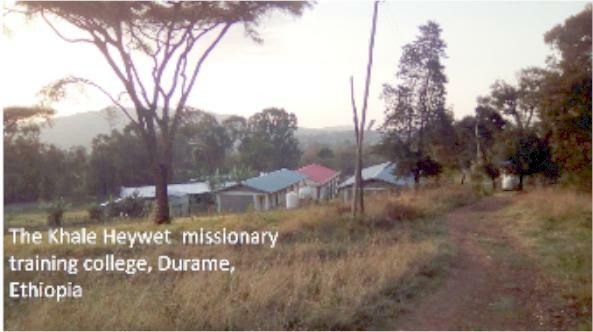 Some of them already have experience of doing missionary work in various obscure parts of Ethiopia. Now they are doing their formal training to enable them to go further afield. They are to be sent outside of Ethiopia. As to why I am teaching them . . . Instead of using their own languages, it is English that gets rising prominence in the Higher Education sector. I really am wondering . . . here in the middle of a place where English men have rarely trod, but the future seems to be about knowing English!! That’s why they value having me here. I can speak English, like a native! When I talk to our students, they just look at me blankly . . . not understanding often it seems a word. That seems not to matter too much. They hope they will learn. Unfortunately, teaching being in English severely limits our cultural relevance. 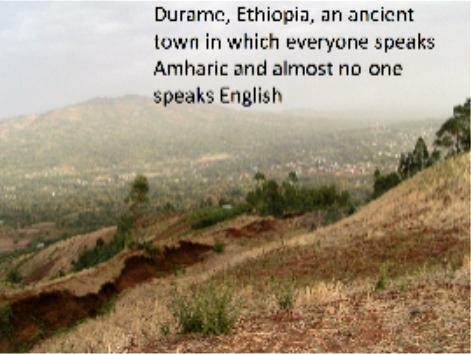 Our students won’t pass exams using Ethiopian English, yet they won’t be culturally relevant using American English! In a way, the students don’t care. It is hard for anyone to accept you as an international missionary if you don’t know English, they tell me! To see a video of my class in action (with guest-speakers. I am the one taking a video. I invited the speakers to talk to my class.) see here (not particularly exciting). Realising that there were so many horses and donkeys around, I asked my colleague whether they ate them. “No,” was the response. 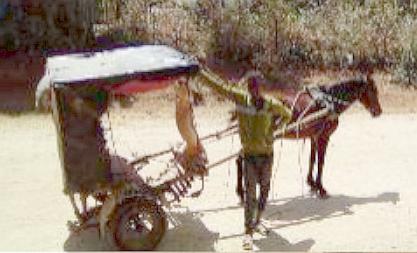 So, “what do you do with dead donkeys?” I added. (I was aware that in many African contexts, one does not eat an animal that has helped one to do work and so in a sense become part of the family!) I couldn’t imagine people taking the trouble to bury dead donkeys. “We throw them out for hyenas to eat,” said my colleague, without batting an eyelid. 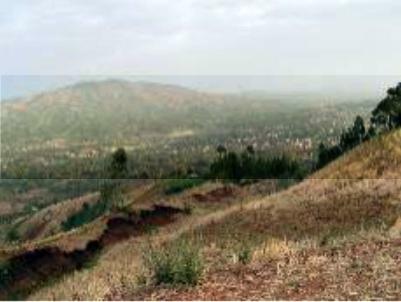 So, in this part of Ethiopia, you hear donkeys and horses braying and neighing during the day, and hyenas laughing at night. 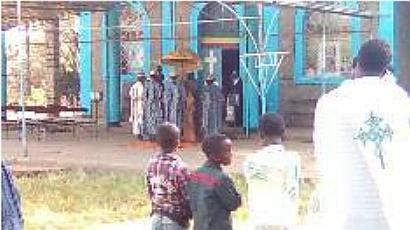 One of my plans in this trip to Ethiopia, was to further explore the Ethiopian Orthodox Church (EOC). (I had a brief period of research in 2001, then confined to the capital city.) This is a daughter church to the Coptic Orthodox of Egypt. Its prosperity, growth, and thriving over hundreds of years, pretty much cut off from other churches by Islam, has been an amazing story. 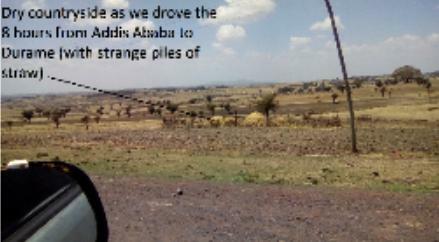 The EOC has made Ethiopia what it is today. At the same time, I am aware that many Protestants do not consider members of EOC to be Christian. Ironically, they can associate them more with Muslims! I heard in 2001: that EOC believers find they have more in common with Muslims than with Protestant Christians! My influence over 2 weeks is obviously limited. 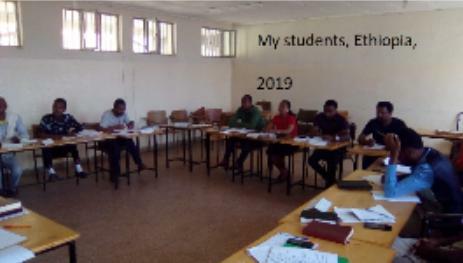 I have encouraged students here who are training to be missionaries to try to build relationships with the EOC, rather than only to see them as a source of converts to Protestantism. Sunday 24th March I was joined by a student to visit the local EOC, just two miles away, his first time ever to attend EOC. 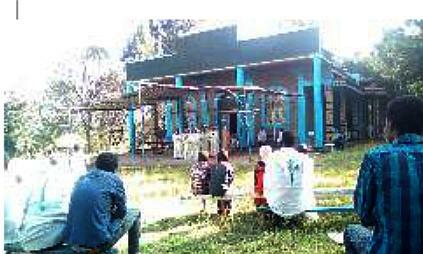 There was a big throng attending the church. It is probably correct to say, that it is a very ‘pre-reformation’ church. They proclaim the word, but are not pro-active in encouraging personal study of the Bible. Very few church members actually entered the church. Most of the church service was broadcast from inside the church, as church goers stood outside listening and singing (chanting) along. Only at the end did the congregation sit outside the church. Then the fathers emerged and led us in announcements, singing, and a sermon. Almost everyone wore a white shawl, the women using it to cover their heads, while the men wore it around their shoulders. 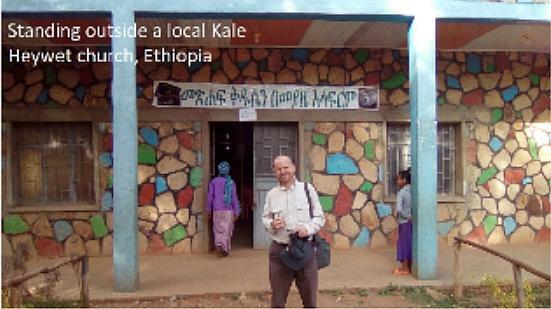 Many thanks again to my hosts here in Ethiopia! Remember – celebration for 31 years of missionary service, is to be held at Andover Baptist Church on 2nd November, and Norwich Central Baptist Church on 30th November this year. Details pending. PLUS a conference, focused on ‘vulnerable mission’ is to be held at All Nations Christian College in Ware, Herts, 8th to 11th December 2019.